Marilyn J. Ellis, 78, of Beloit, WI died at 10:08 p.m., Sunday, September 30, 2018 in Beloit Health and Rehab after a lengthy illness. Born April 4, 1940 in Beloit, WI, the daughter of Mr. and Mrs. James and Violet Rosamund Hill Hawkins. Graduated from Beloit Memorial High School. She married Richard C. Ellis in Beloit, WI on September 3, 1960. 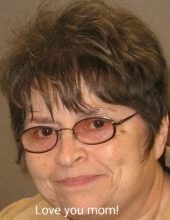 Marilyn worked at Macktown Bank, as well as being an advertising representative for Stateline Shopper and Beloit Daily News and working at Park Ave Feed Store in Beloit for ten years. She was a former member of First Baptist Church, Merrill Grade School PTA in Beloit, Wi and the Rockton Chamber of Commerce. Survivors include son Brian Ellis; daughter Julie Ellis; grandson Bradley Dammen; great grandchildren Brandon Ellis, Hannah Ellis, Myia Ellis, Bentley Ellis and brother Steven Hawkins. She is preceded in death by her parents, husband, granddaughter Ashley Lynn Ellis and infant brother. Memorial Ceremonies will be held at 1:30 p.m., Tuesday, October 9, 2018 in McCorkle Funeral Home – Rockton Chapel, 767 N. Blackhawk Blvd, Rockton, IL with Chaplin Mark Maxted officiating. Burial will be in Mt. Thabor Cemetery. Cremation Rites to be Accorded. A visitation will be held at the funeral home from 12:30 p.m. until time of service Tuesday. To send flowers or a remembrance gift to the family of Marilyn J. Ellis, please visit our Tribute Store. "Email Address" would like to share the life celebration of Marilyn J. Ellis. Click on the "link" to go to share a favorite memory or leave a condolence message for the family.